With its rich history and archaeological remains, wonderful beaches, variety of activities to do and friendly people, Thasos has become one of those islands holidaymakers return to year after year. 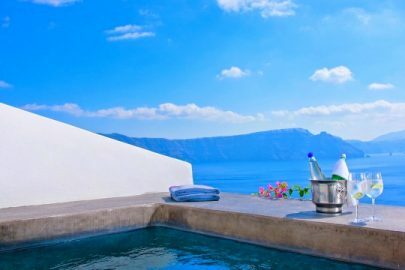 It is also very popular with the Greeks because of the good food, the high-standard services provided and the very intriguing mixture of the modern and the traditional. 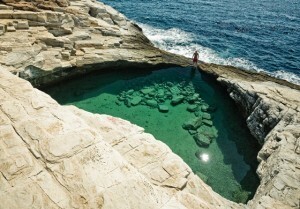 The most northern island of the Aegean Sea is also called the Emerald Island, being a place of fascinating beauty. It also has a rich history and archaeological sites scattered throughout the island. One can combine amusement with archaeological interests so long as there are monuments remaining since its glory days from the past. 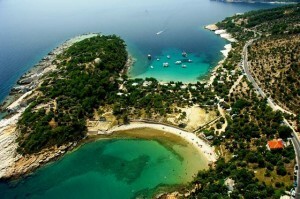 Thasos is mountainous and densely wooded. The lower slopes of the mountain, covered by pine forests and olive groves, seem to tumble into to sea, all around the 100km long perimeter road of the island with the beautiful coastline, the numerous beaches, the captivating inlets and estuaries. The little picturesque villages compose a unique bouquet of Greek architecture and folklore tradition with warm people and exquisite delicacies at the local tavernas, which make them ideal for those who want to spend quality time on excursions around the island. On the other hand, organizing a boat trip will reveal to you seductive sunsets in cut-off havens. The capital of the island is its major port too. Actually, it is called Limenas which means “port” in Greek. The history of the island, which goes back as far as the prehistoric times, has left some very important tracks around the area of Limenas, among which we recommend strolling around the ancient ruins, as well as visiting the ancient theatre – shows are held in it in the summer time, so check for dates that suit your holiday plans. The archaeological museum offers you a more systematic acquaintance with the island’s antiquities. 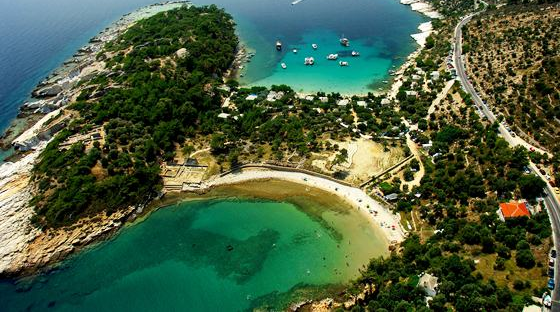 If there is a place on Thasos in a strong bond with old times that is definitely Panagiá. The village of Panagiá (meaning “Virgin Mary” in Greek) retains its traditional character – probably because of its location away from the seashore – in its cobblestone, narrow streets. Not easily accessible by cars, it is the perfect place for celebrating the Assumption day, on August 15, with all the features of the customs of old times. The golden sand, the shallow waters and the lush vegetation at the beach “Skala Panagiás”, i.e. the closest beach to Panagiá, is one of the best of the island. Another place of interest is the Drakotrypa (=hole of the dragon) cave owing its name to a stalactite in the form of a dragon! Lying at the foot of mount Ipsario (which, with its 1.204 meters, is the highest on Thasos) there is the village of Potamiá. “Potami” in Greek means “river”, “stream”; that is not a coincidence, as there is a stream running through the village. Still away from the shore, the surrounded-by-olive-groves village finds its corresponding beach in the sands of “Skala Potamia” or “Golden beach”. By the name one can easily understand that it’s about a captivating stretch of beach that has grown into a favourite tourist attraction. Other beautiful and worth visiting settlements are Skala Rachoniou, Prinos, Sotíras, Limenária, Mariés, Potós, and Theológos. The annual summer festival, one of the most highly regarded festivals in Greece, presents high-quality performances all around the island. Throughout the year, many traditional, cultural and folklore events, such as the Thasian Wedding in August, take place. One could be justified to say that the spirit is the reviving of age-old Dionysian customs. The Emerald of the Aegean also boasts several sites with remains of ancient temples, agoras, fortifications and dwellings. Its traditional architecture is blended to modern one, ancient temples, sanctuaries and theatres, as well as ruins of Venetian castles. Squares, narrow alleys and multi-spouted fountains complete the scenery. Another unexpected attraction of the island is the large number of old churches and monasteries. The monastery of Archangel Michael, located on the south-east of the island, built seemingly precariously on the steep rocky side of the mountain, gives the impression of hanging right above the sea; and that’s just one of the many religious monuments on Thasos that are bound to inspire awe and humility to the visitors. Let us just reserve another mention to the wax and mastic (!!!) icon of Virgin Mary in the church of Agia Paraskevi in Theológos area. An unforgettable experience: In the ancient times, the island used to be exploited for its subsoil sources, such as gold. At the edge of the peninsula of Alyki there is a sunken quarry whose carved rocks are visible with just simple snorkeling equipment. 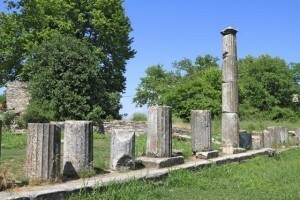 Ruins of a temple of Apollo are also in this very developed and very beautiful part of the island. The island offers every type of beach that one could wish for, shallow waters with sandy not-easily-accessible-by-road beaches abutting onto pine trees, tiny gulfs and rocky promontories, spotlessly clean pebble beaches, wide expanses of sand and well maintained public beaches, satisfy every need for peaceful family vacations, exciting water sports, beach games, or simply for relaxing in the peace and quiet of the beautiful surroundings. – Hiking: Lush vegetation will cater for shade and freshness through the long footpaths of the island with the stunning nature. – Birdwatching: Thasos is one of the first Greek areas where they have implemented a volunteer work programme to watch over the local population of wild birds. As a matter of fact, the bird species encountered there have rendered the island a very well known one to ornithologists. – Water sports: The beaches of the island are so beautiful that you will only be looking for excuses not to leave them till it gets dark. All kinds of surfing and skiing are there for you to do. What is more, you already know where to make the best of snorkeling! – Fishing: The seas of the island are mostly populated by the following kinds of fish that can end up in your dish if you are a good fisherperson: gray mullet, sea bream, lobster, white bait, horse mackerel and octopus. – Marble quarry tours and olive oil factory tours: Both of them take you to the traditional little village of Panagia and they are organized. Ask for detail once on the island. – Caving: Caves on Thasos exist, but they are not available for tourists visiting them. Caving here is restricted to experts only. Tip: A great many of the visitors of the island have chosen it for their holiday thanks to its wonderful beaches. 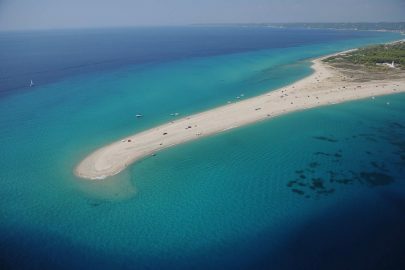 The recurrent place name “Skala something” in seaside areas and beaches means that there used to be a village named that something somewhere close, in the mainland of the island. 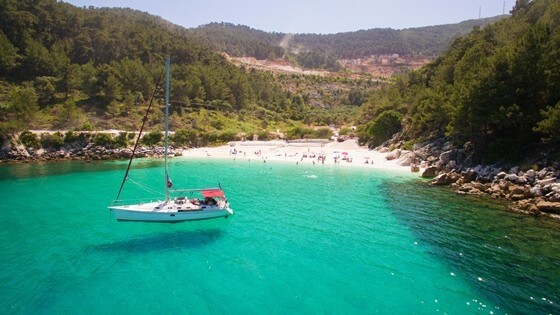 For fear of the pirates, the “Skala” places would be used as docking areas for fishing boats and for transporting the necessary goods, but the villages themselves were built on the mountainous part of Thasos. Little by little and steadily in the 20th century, the inhabitants had nothing more to fear and abandoned the mountains for the easiness of moves of the seaside. Fresh fish, wine and, of course, the famous thasian honey and olive oil are only a few of the local products you will rejoice over during your stay on the island. 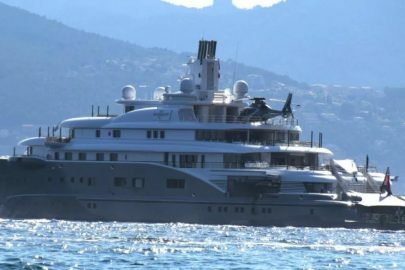 One can take a ferry or a flying dolphin from Keramoti to Limenas (35 minutes) or from Kavala to Prinos’ port (75 minutes). From “Great Alexander” Chrisoupoli (Kavala) airport, at about 18km from the port town of Keramoti. From “Macedonia” Thessaloniki airport, at only 170 km away from Kavala’s port. Both of the above mentioned airports are international. Please, check for direct flights to them, or fly to Athens and then to one of them. Greece: A “No-Go” Zone in Athens? Is Semi Ojeleye the Celtics’ secret weapon vs. Giannis Antetokounmpo, Bucks? North Korea gave US $2M hospital bill over care of American Otto Warmbier! How will the Universe end?